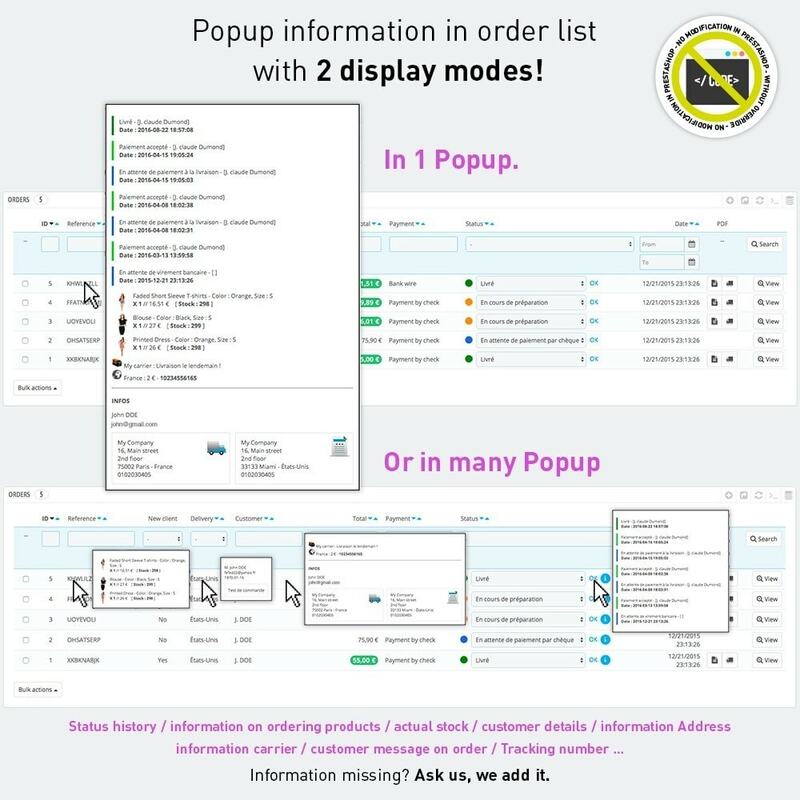 This module allows you to take a look, check your orders at various levels (states, products, quantities, delivery addresses ...) and to change their mass states for faster processing (with option to stop sending email). → With this module, you no longer need to open a command to learn its contents or to verify information. → To do this, you simply fly over a command line to display a popup allowing you to view information about this command (configurable information from the back office module). 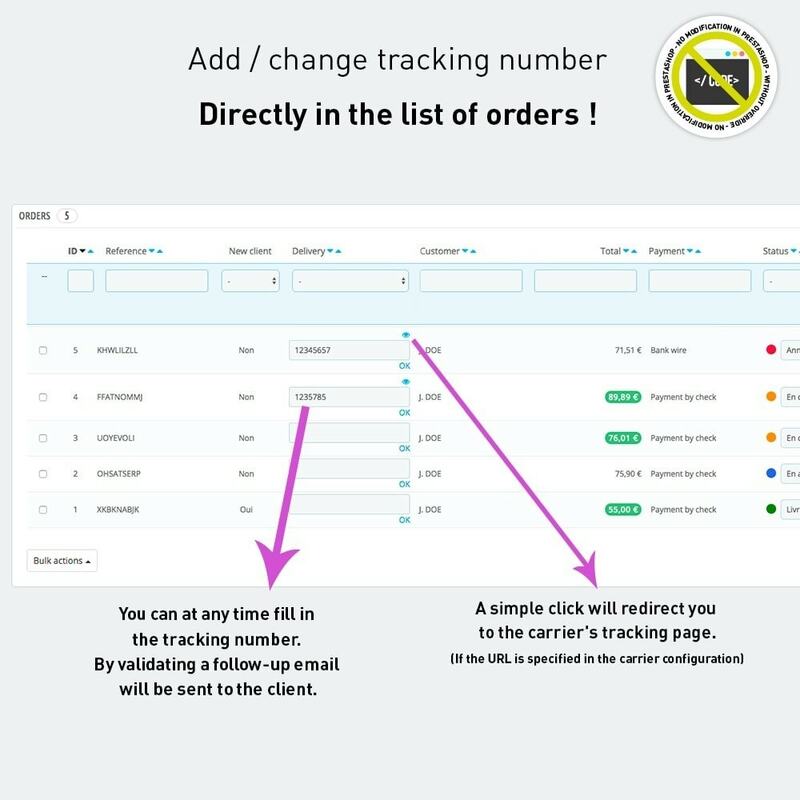 → A status change system on the list of orders lets you quickly change it without opening the order. → Also you can change mass states your orders from a new tab in the back office (Ability to restrict access with employe profile). Simply choose a state of start and end. You can filter the list of commands depending on the carrier and method of payment. An option also allows you to choose not to send email when you change mass states. Displaying information of an order to fly, no need to open the command. Ability to display the list of ALL order states (history). Ability to view the list of products with information and photos + quantities + actual stock. Ability to view the delivery and billing address. Ability to display transportation information and tracking number. Ability to view the client's message related to the order. 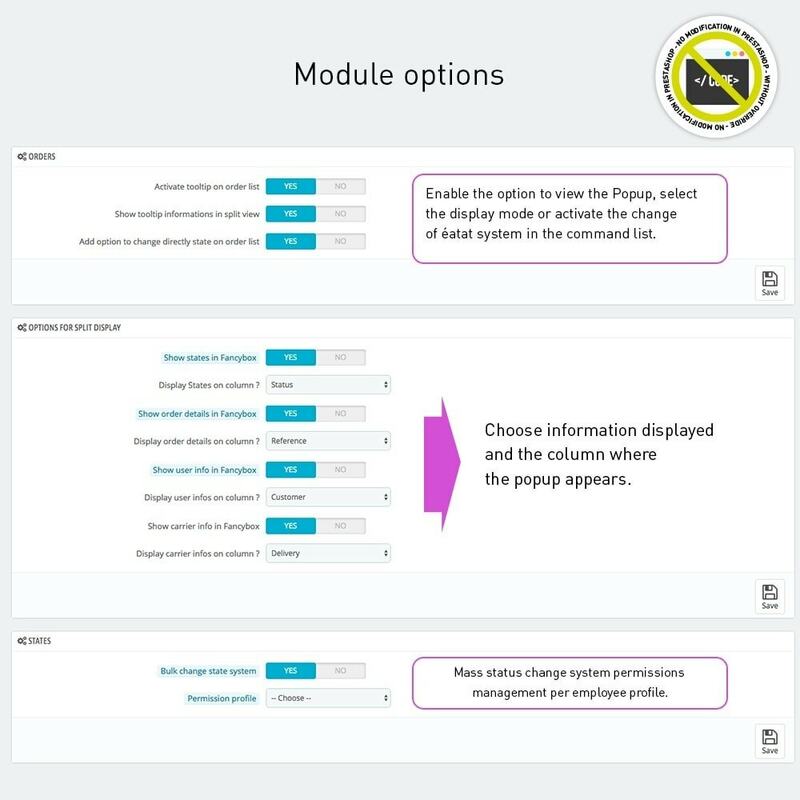 Ability to change the display mode information to the overview (1 Popup or more). Possibility to choose the column that appears the Popup. 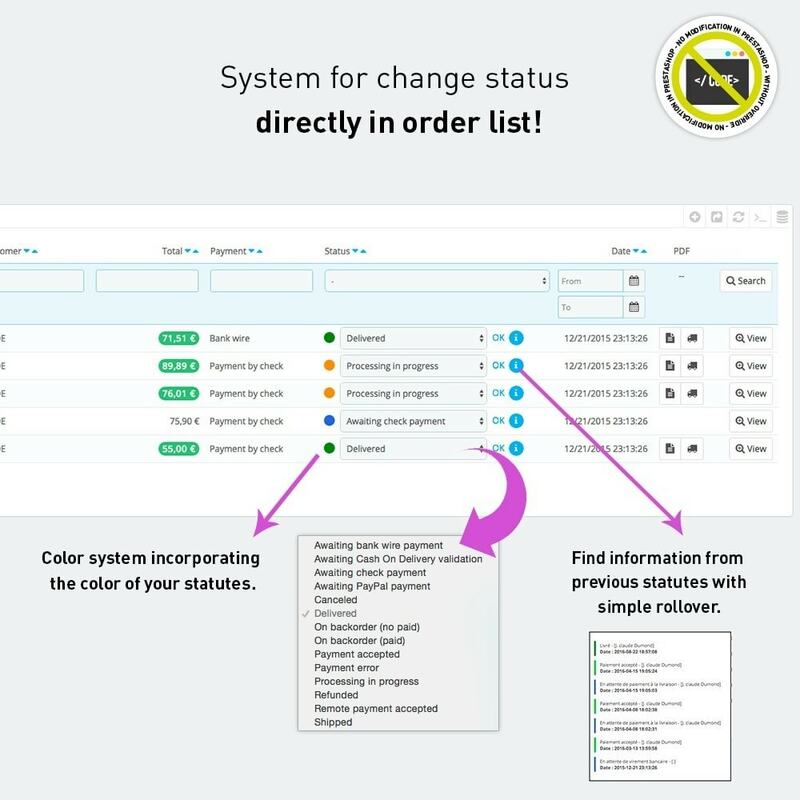 Ability to enable the change of status system on the list of commands. Change the statutes in mass with filter system by carrier and method of payment. Ability to prevent sending email when changing the statutes in mass. Ability to restrict access to change the statutes in mass based on the employee's profile. Thebest & ultimate visual product editor for PrestaShop. With this module, you can easily change product data directly on the product page or on the category page without logging to the admin panel of your store. The made to shorten the processing time of your order you can spend more time to meet the demands of your customers. ► Facilitate the work of your employees!